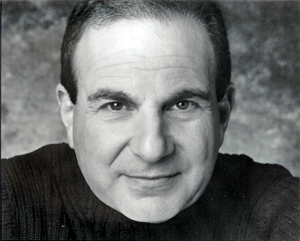 Martin Katz has been accompanying world-famous singers for nearly 40 years. In addition to his collaboration with Karita Mattila, he has appeared on five continents with singers such as Kiri te Kanawa, Kathleen Battle, José Carreras, Renata Tebaldi, Nicolai Gedda and Monserrat Caballé. Martin Katz studied at the University of Southern California and began his career as a pianist with the US Army Chorus in Washington DC. His international career began in earnest in New York in the 1960s. Since the early 1990s, he has added conducting to his skills. Drawing on his experience with Baroque and bel canto repertoire as an accompanist and coach, he has prepared editions of operas by Haendel and Rossini, which have been presented by the Metropolitan Opera, the Houston Grand Opera and the National Arts Centre in Ottawa. He was appointed Arthur Schnabel Professor of Music at the University of Michigan, where he chairs the School of Music's programmes in accompanying and chamber music, and where he takes an active part in operatic productions. He is also in constant demand as a guest teacher in such important venues as the San Francisco Opera, the Ravinia Festival, the Tanglewood Music Center and the National Opera Center in Tokyo.